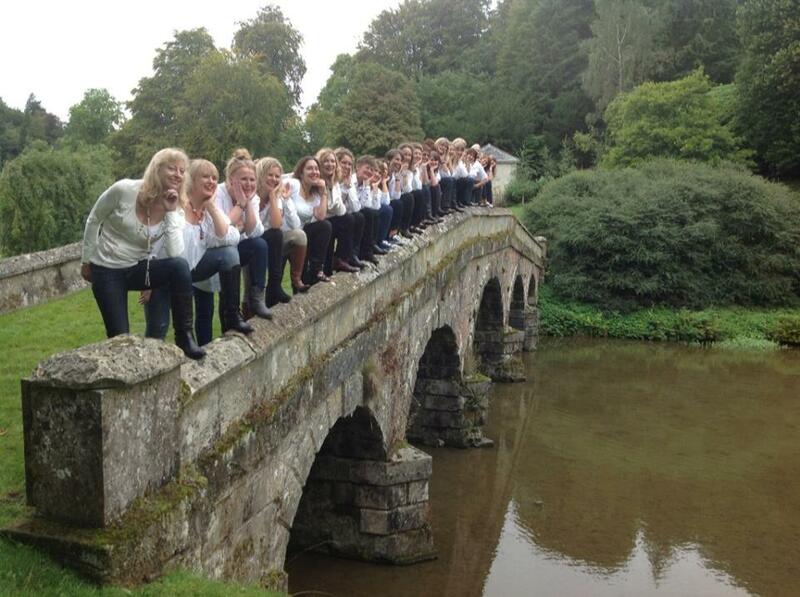 Stourhead September 2013 | SASSPARELLA! The morning of Sunday 22nd September dawned warm and bright. And thank goodness! 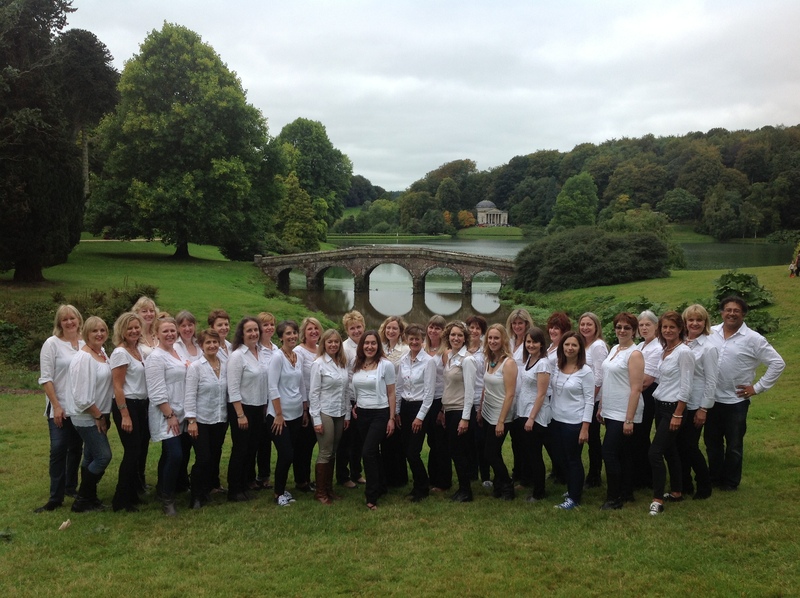 Because Sassparella were about to perform al fresco at the magnificent Stourhead gardens. Lifts had been arranged, and, with military precision, the Sassparella cavalcade arrived bang on 10.30am…well, sort of, having had to dodge a cycle road race, a circus train of massive trucks, Sunday drivers… and a horse on the A36. Cindy warmed everyone up, and our first 20 minute set was performed in the courtyard by the entrance lobby and the shops, with Marius unplugged, on guitar. The ladies of Sassparella warmed to the task, and the audience warmed to Sassparella. We then walked down to the lake for some publicity shots against a truly unique back drop. 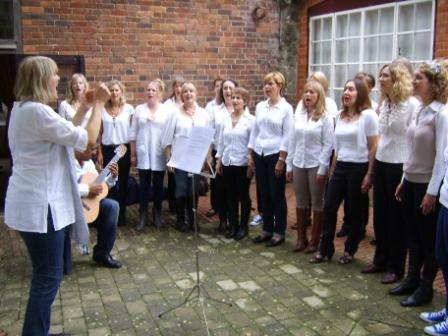 After that, we performed twice more in the courtyard by the Spread Eagle pub. 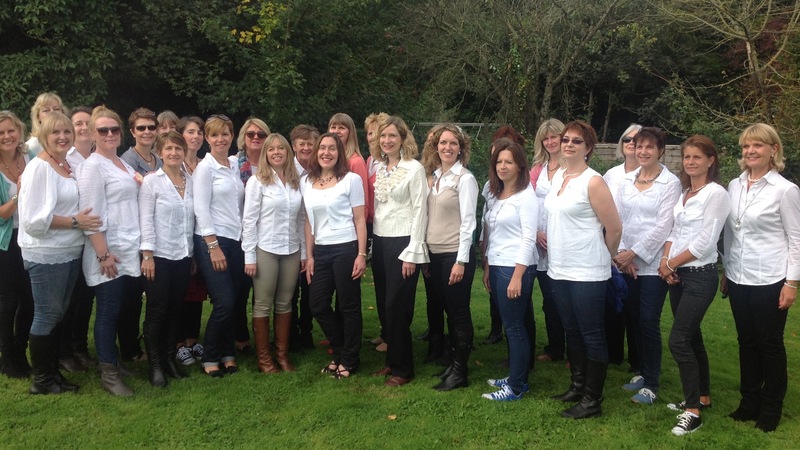 A lovely afternoon of singing, bonding and tea drinking… at least, I think it was tea in the flasks! Marius was particularly delighted about the advantages of being the only male in the choir… homemade cake, and lots of it- thank you Vivien! Party in the City Friday 15 May 2015 Performing at United Reform Church Argyle St 8pm! Sing with Sassparella ‘Motown was a big hit!